How specifically will the new maps build on the old? Identifying and assessing the level of connectivity at each of the state’s “community anchor institutions” (government offices, schools, libraries, hospitals, emergency services operations centers, etc). Will you be looking at the demand issues? As mentioned above, we will be undertaking a rather exhaustive survey research project where we will assess broadband usage and barriers to broadband adoption, among several other things, on a yearly basis for five years. That will allow us to benchmark the results over time. This work will be done on a county-by-county basis, so statistically-significant results will be available for each county. Relevant statistics will also be added as an additional data layer to the interactive mapping application called BroadbandStat. 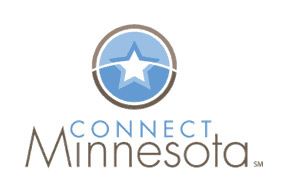 Additionally, we will continue to collect broadband inquiries via the Connect Minnesota web site, http://www.connectmn.org, and keep a record of high demand in unserved areas. Will you be able to focus more on testing the numbers supplied by providers? The new mapping program will allow for a more robust data verification process that will involve more on-the-ground data validation by our engineering team. Additionally, the survey research data and the broadband inquiries received via the web site will be matched up with the coverage information on the map to see where discrepancies exist. I know you were able to get most of the providers to cooperate – but is there an approach to get the stragglers to engage too? We will continue to reach out to all providers across the state to build relationships and collect data. Since this is a stimulus-funded program, there are actually more opportunities and benefits for providers to participate – especially since being included on the maps and information delivery to NTIA allows the provider to be eligible for future grants and funding. How does the earlier map give us a leg up on a better end product or save us money? Having broadband mapping completed in the past certainly gives the state a leg up, as providers are familiar with Connected Nation and the processes necessary to collect and aggregate the data to create the maps. This allows us to go back to these providers that we have already developed relationships with to collect the additional pieces requested by NTIA and any updates to their service areas. The earlier map will also allow us to track broadband deployment progress for a longer period of time. Will you be updating the map incrementally or providing a sneak preview as you did with the earlier map? As of right now, the maps will be updated every six months past the initial delivery to NTIA. Map updates will correspond to these deliveries. The online map will be updated on an ongoing basis. Just like we did for the earlier Connect Minnesota map we will encourage consumers to play a role in the verification of the maps – and as that feedback comes in we will make updates in real time to any discrepancies that are found. Will you be able to employ local folks to get the job done? For mapping purposes, CN’s staff will be augmented through the use of a few subcontractors, selected through a competitive bid process approved by the NTIA and the state agencies of each state that Connected Nation is working with. We’re always looking for opportunities to bring people onboard who live in the states in which we are working. What will/can be done to keep the maps updated in the future? NTIA has requested maintenance updates every six months past the initial delivery of broadband information. We will be reaching out to all providers continuously for updates to service areas and information. How much of the raw data or segment of single factors be available? Data requested for delivery to NTIA has been deemed public. Connected Nation has worked with ESRI to develop an appropriate interface for public consumption that will contain some of these pieces as well as an interactive interface for information on available services. Will guys continue to be generous with overlaying the demographic info (economic map et al) with the broadband maps? Yes, we will continue creating the demographic maps based on the NTIA requested information. The BroadbandStat web application will also allow for greater customization for Minnesota, and will provide a more user-friendly interface for overlaying multiple data layers, and adjusting the transparency of each one to create better views.